The year of 2015 has been an amazing year for Northern Illinois JFON! Our Board of Directors decided that for us to continue to grow in fulfilling our vision, and expanding our mission, that we needed to hire a Director of Development (part-time). 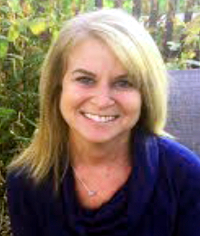 We are excited that Susan Yanun will be joining our staff, beginning January 4, 2016! Susan has spent years fighting for social justice, immigrant rights, and community-led grassroots planning and development, much of the time through her position as the New Communities Program Director and Planning Director of Logan Square Neighborhood Association in Chicago, IL. She began her experience with NIJFON as the Chicago Clinic Co-Coordinator for three years. In her new role as Director of Development, Susan plans to work with the board, staff attorneys, and clinic volunteers to diversify and increase funding for Northern Illinois JFON to build its capacity and increase its ability to fulfill its mission of providing high quality, free legal service, education and advocacy. Susan brings to JFON more than 20 years of experience in non-profit program development, organizing, and fundraising. She is bilingual in Spanish and English and has recently received her Board of Immigration Appeals (BIA) accreditation with JFON. She is married with two daughters and a golden retriever. Ayudanos a brindarle una cordial bienvenida a nuestra nueva Directora de Desarrollo.